Hello can anyone help me please. I have been into genealogy on and off for some years now and time permitting I try to gain as much info as I can re my own ancesters and that of my husbands, some with great success and others with rather less. The family name Cassidi (now Cassidy) is my paternal line. With regard to Reverend William Cassidi, the only information I have on him is that he was the Vicar of Grindon, Co Durham for many years, where he is buried and a photo of his grave, so anything else you may have would be really great, especially a photo of him. Below I have set out some background details which I know about William Cassidi. His first proven ancester was Henry O'Cassidy, MD of Greatwood, County Louth, Ireland b. c1630. William was born at Glenrbook, a slightly Gothic late Georgian house in County Derry Ireland and was one of 8 children. His father was The Reverend Mark Cassidy, Chllr of Kilfenora and Rector of Newtonards, Co Down. Reverend Mark was born in 1777 and educated at Trinity College, Dublin, a wealthy landowner he also acted in an advisory capacity to Lord Castlereagh. William's mother, Henrietta, was daughter and co-heiress along with her sister Esther, of Samuel Jackson, of Stormont, nr Belfast. He was a West Indian Planter and his wife Hester (or Margaret) was the daughter of Paul Peter Isaac de Vateau the descendant of a French Huguenot family settled in Dublin. William's uncle, husband of Esther, was Reverend John Cleland, Preb of Amargh, he had Stormont Castle built for his family, years later it was closed, sold off and eventually re-opened and became known as the famous political building that still stands today. Interestingly, another sibling of William's was Frederick, born in 1890. He was also a Reverend. Apparently he married a very young girl who was said to be his maid, and later along with her and their children emigrated to New Zealand where it isn't known whether or not he was still in the Church or whether because of his frowned upon marriage he was defrocked whilst still in Ireland and then fled to Monteka, NZ. I have tons of stuff on the many off-shoots of this family that will be of little interest to most people. However, I hope the above summary is of interest to visitors to this site. I look forward to hearing from anyone who can add to the information I already have. Thank you for your information about William Cassidi's ancestry, much of which was new to me. Below is a summary of the principle things that we know about William time in Grindon Parish. William Cassidi was vicar of Grindon Parish for forty-one years (1841-82), during which time he virtually ruled the parish and appears to have been very well respected by his parishioners. As you are aware he was one born in County Derry, Northern Ireland, as one of eight children to the Reverend Mark Cassidi, a well-educated and wealthy landowner. William Cassidi was educated at Trinity College, Cambridge c.1836 and was ordained Deacon in 1837 and Priest in 1838 at Durham after which he became Curate of St. Giles, Durham City. In 1841, possibly thanks to his father’s earlier connections with the Londonderry family at Mount Stewart in Northern Ireland, William moved to the parish of Grindon in south-east County Durham. This ancient parish then comprised of a centre of population at Thorpe Thewles, a secondary community at Whitton, scattered farms around Grindon and Fulthorpe plus the Londonderry Family’s estate, which comprised Wynyard Hall and Park. During his time as vicar he instigated the closure of the old Parish Church of St. Thomas a Becket at Grindon. This church was becoming increasingly dilapidated. A replacement parish church, Holy Trinity, was built at the then main centre of habitation in the parish, Thorpe Thewles. Unfortunately the stone selected for this new church proved to be of inferior quality and the new church was extensively re-modelled and re-consecrated as St. James in 1887. At the same time as moving the parish church from Grindon to Thorpe, William also did the same with the vicarage. He built a fine new red brick one opposite the new church at Thorpe. William Cassidi was also instrumental with Lady Londonderry in providing Thorpe Thewles with its first proper school as well as being involved in other beneficial acts for his parishioners. William’s time in Grindon Parish coincided with many major changes in the area. The biggest of which was the establishment of a new industrial community that sprung up in the north-west corner of the parish around the newly built (1865) iron works. This ultimately comprised three blast furnaces plus other associated works. Originally known as the village of Carlton Iron Works it was later (1931) re-named Stillington. The iron works caused the parish’s population to almost double by the mid 1870s. By 1872 the huge growth in population, focused in the western half of the parish, justified the establishment of a new parish. This comprised the townships of Stillington and Whitton. This new parish was carved out of the ancient parishes of Grindon and Redmarshall. 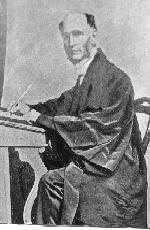 William Cassidi was instrumental in looking after both the religious and educational requirements of this new parish. He first set up a mission, at Stillington and then a school and finally in 1880 helped establish a new church (St. John’s, Stillington). Between 1867 and 1875, William also acted as Chaplain to the Marquis of Londonderry at Wynyard Hall which had (and still has) its own private chapel. William Cassidi died while still in office at Grindon in 1882. He is buried outside the east end of the current parish church of St. James in Thorpe Thewles. After his death his name was further commemorated in Stillington Parish by being given to the new Church of England School that was established there in 1911. ·	St. Thomas a Becket Church ruins in 2008. ·	St, James Church, Thorpe Thewles. The outer shell of the earlier church of Holy Trinity was very similar to this later church. Image taken from an Edwardian postcard view. ·	William Cassidi's grave at St. James, Thorpe Thewles. ·	Interior view of the Wynyard Chapel, taken from an Edwardian postcard view. I will try and organise copies of images of St. John's Church Stillington, William Cassidi C of E School and William Cassidi's vicarage at Thorpe Thewles in the near future. Out of interest William Cassidi CofE School are celebrating their centenary this year. They have their own Web Site web site which you may want to have a look at. I can't thank you enough for sending me all the information and photos of Reverend William Cassidi. I now know a good deal about his life and work and appreciate your time spent in emailing these to me. I just noticed that one of the mourners at his funeral was Col. Audain. He was married to William's sister Frances(Fanny). Both were born and married in Ireland as was their first son. Later their descendants were born in St. Kitts in the West Indies. If only people would stay put it would make life a lot easier for us to be able to keep track of them! Hello my great great great Granfather was Frederick Cassidy who went to New Zealand with his wife Martha. He wasnt defrocked we think, as there was no record of this in the church records . In Motueka he seems to have lived rather quietly but was well thought of in the community. He lost all his posessions including good linen and a large library in terrible floods which left him and Martha homeless and having to live out their lives in poverty .Martha according to the family was very beautiful and although poor came from a good respectable family who came from Bloddy Forland. Hello . I have been digging around and these is quite a bi now available about the Cassidis of Glenbrook along with photos etc of the house Glenbrook. If you google Reverend Mark Cassidy Magherafelt Northern Irelnand and then look for a blog called Lord Belmont you will gain access to the great pics of this house which was recently restored by the current owneres. The house left the Cassidi family in 1989.If you have any questions let me know and I will try and answer them as best I can . William would heve been born at Glenbrook or at the vicarage at Newtownards whre his father was incumbant . The Rev Mark was quite an interesting character .